As a company, we’ve continued to evolve our crowdsourcing model from the day we launched in 2008 and have regularly collaborated with our community in our efforts. We’re thrilled when we see other companies follow a similar path. Many of you know Mozilla – a global community of people working together on outstanding projects to make the Internet better, including the community’s most popular project – the Firefox Browser. Mozilla also operates Mozilla Labs – a virtual lab where people experiment and collaborate on new technologies and lab innovations. 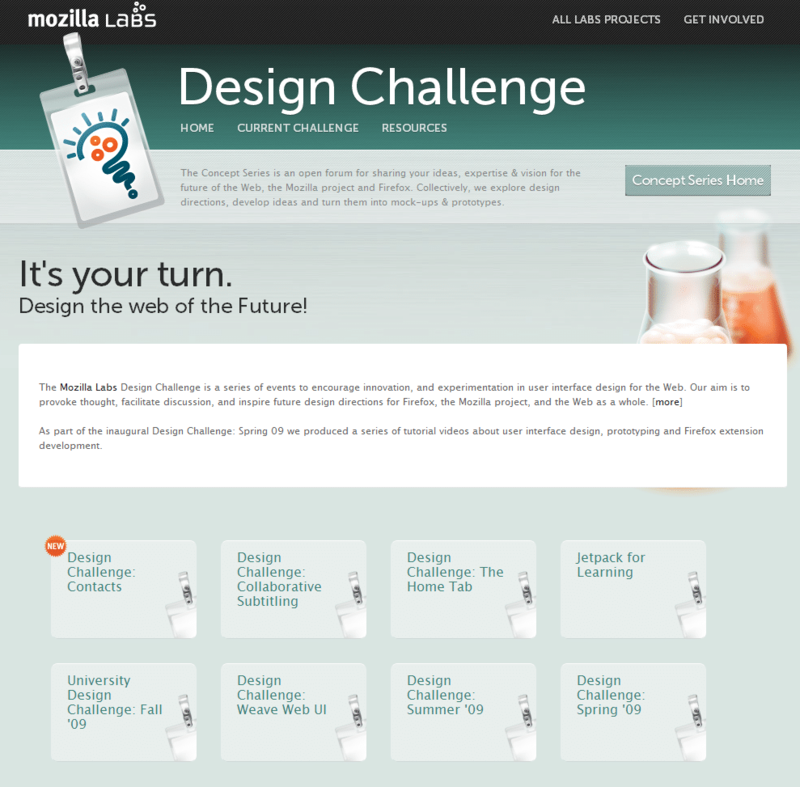 Two Mozilla Labs projects – the Concept Series and the Design Challenges – have promoted collaboration and the sharing of ideas related to various Mozilla projects (including Firefox) – through crowdsourcing. Mozilla has been happy with both Labs projects, but believes there’s room to improve them. and to build a better crowdsourcing program around the Concept Series and Design Challenges. The Mozilla Labs “Crowdsource Crowdsourcing” Project aims to bring students from leading universities together; to perform a status quo/gap analysis, collect and analyze best practices, develop ideas & concepts, run experiments and gather user feedback to develop and implement a best in class open innovation / crowdsourcing program. It’s great to see Mozilla pushing forward to find ways to evolve its existing crowdsourcing program. We’re big fans of their projects and the contributions of the Mozilla community to the Web, and wish them well in these efforts! How are you evolving your products, services, or business?